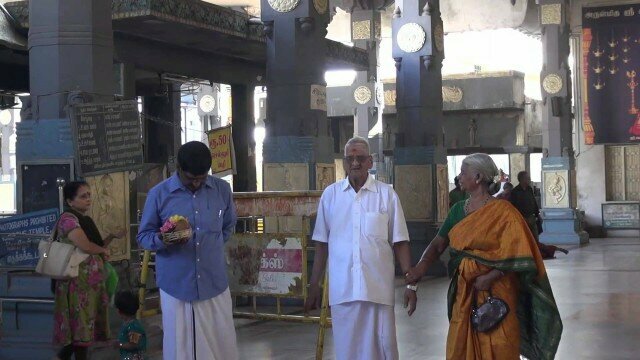 Mangadu மாங்காடு Kamakshi Amman Temple View 25th November 2013. Mangadu is a town in Kancheepuram district in the Indian state of Tamil Nadu. Literally meaning a mango forest, it is a south-western suburb of Chennai. It is about 20 km from the city. The town is famous for its Kamakshi temple. It is believed that the great Hindu saint Adi Sankara visited this temple and installed the Ardha Mahameru Yantra. Mangadu is close to Poonamalle, a major suburb of Chennai city. Big factions of the population live in the capital of Tamil Nadu, Chennai. Many of these people return to Mangadu once every year or so to give offerings to the local temple.Song by Unni Krishnan.